In 2009 and 2010, the Animal Park Berne acquired a total of 33 young puffins from a breeder in Germany. The facilities are described in detail and minor deficiencies in the concept discussed. Adults and young puffins are fed with 'Lundi' pellets all year round; nutritional supplements are used to protect the birds from diseases. The eggs are nurtured in the incubator and the young birds are raised individually by hand. After their confinement, the pufflings are put together with a few adult birds in a small breeding basin, so that they can get used to them. The aim is to make their later integration into the full group less stressful. 13 of the 33 young birds acquired eight years ago are still alive. The first birds reached sexual maturity at the age of three. In 2011, we raised the first chick, followed by 22 offspring. 20 of them lived beyond 30 days. Our biggest breeding successes were in 2013 and 2015, when six young were produced. But since then there have been no offspring as the eggs, as well as a newly-hatched chick, became infected. Young birds reach their adult weight after about 50 days. The most common cause of death among our birds is aspergillosis. If the disease crops up, treatment is usually futile. 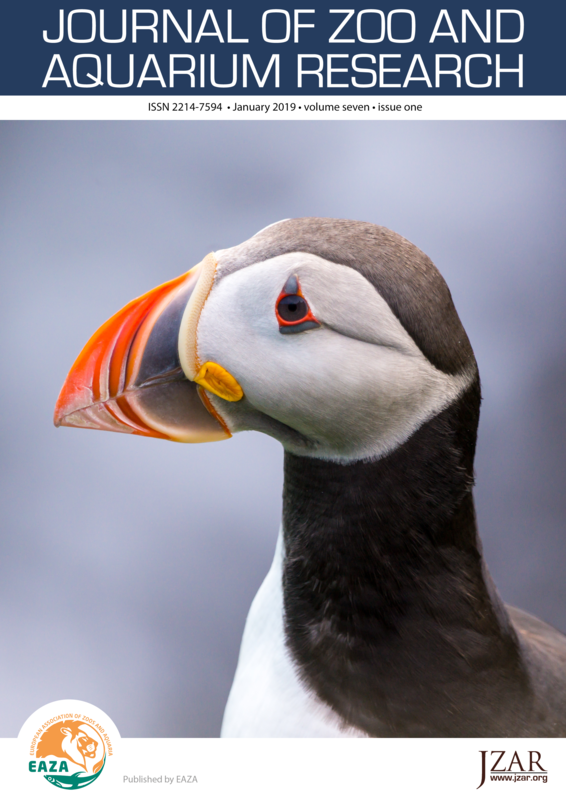 The aim must be to strengthen the puffins’ immune systems and reduce their susceptibility to social stress.